It would be misleading to characterize Trembling Frames as a subdued record. True, the most recent previous effort from Lincoln Barr was Pure Delight, a decidedly rock-oriented album from his band Red Jacket Mine. But here Barr has crafted something remarkably different. 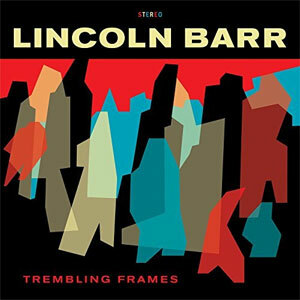 Trembling Frames might well be described as a collection of torch songs, a la Frank Sinatra‘s 1955 album In the Wee Small Hours. There are virtually no sonic similarities between Barr and Ol’ Blue Eyes. But thematically, Trembling Frames is a record full of rumination, recriminations, regret. The music itself is subdued, which suits these songs perfectly; expert yet spare instrumental backing makes effective use of reverberating guitars, ringing vibraphones, melancholy accordion and chromatic harp. The arrangements put a low-wattage spotlight on Barr’s intimate and heartfelt crooning. Subtle hints of the influence of Chris Isaak may be detected in the grooves of Trembling Frames, but it’s really a record like no other … at least no other record released in 2017. Pay the close attention the disc deserves and you’ll unearth bits of clever wordplay and rhyme; the latter is sprinkled throughout “Fond of Surprises.” There’s very much a late-night, bar’s-nearly-closing aura to these ten original songs, and a vaguely jazz sensibility, but Trembling Frames is no stylistic throwback; it comes off as a wholly genuine musical/artistic statement.